by Padraig Og O Ruairc looks at the case of three British soldiers executed at Lough Attorick on 20th February 1921. Desertion had been a serious problem for the British Army in the First World War. The overall desertion rate between 1914 and 1918 was 10.26 per 1000 men, so that in a wartime army of over one million there were 10,000 men absent without leave – the equivalent of a whole British division! Of the 346 British soldiers executed for offences between 1914 and 1920, 266 had been executed for desertion. Desertion from the British Army on the Western Front during the First World War was relatively straight forward and the greatest danger posed to the deserter was arrest by the Military Police and in extreme cases execution. Desertion from the British Army on the Western Front during the First World War was relatively straightforward and the greatest danger posed to the deserter was arrest by the Military Police and in extreme cases execution. In the early phase of the War of Independence there was also relatively little danger for British soldiers stationed in Ireland who decided to desert. Ireland was considered a domestic posting by the British Army, and the military situation was considered a policing action not a war – so if caught they would face less severe penalties, most likely imprisonment rather than execution. From a republican perspective captured British deserters, considered genuine, were looked at as a potential source of weapons ammunition and intelligence information and were very unlikely to be executed since the I.R.A.’s military efforts in 1919 and spring of 1920 were primarily directed against the R.I.C. rather than the British Army. In 1919 before the violence between the I.R.A. and British forces in Ireland escalated, desertion by British soldiers was a fairly common occurrence. For example a battalion of Scottish soldiers stationed in Ennis had became particularly useful as a source of arms for the I.R.A. in the area as they kept approaching republicans with offers to sell them rifles. On one occasion a Fianna Éireann scout called to the home of William Mc Namara one of the leading members of the 1st Battalion Mid Clare Brigade I.R.A., to report that he had met two Scottish soldiers who wanted to sell their rifles. Mc Namara met the two soldiers and bought their rifles and one hundred rounds of ammunition for £ 8. Later in the war a small number of British soldiers not only deserted – but actually defected and joined the I.R.A. Later in the war a small number of British soldiers not only deserted – but actually defected and joined the I.R.A. these included; Charlie Chidlie an English Soldier stationed in Offaly. Peter Monoghan a Scottish private with the Royal Engineers who deserted from his barracks in Cobh, and joined the I.R.A.’s 3rd West Cork Brigade and was killed fighting against the British Army at Crossbarry on 19 March 1921. Reginald Hathaway a Londoner who deserted from of the East Lancashire Regiment in Kerry and joined the I.R.A.. He fought as an I.R.A. Volunteer in the Civil War until he was captured and executed by the Free State Army in 1923. Desertion became a far more dangerous and complicated affair for British soldiers as the war progressed. Whilst there continued to be genuine cases of British soldiers deserting and being granted safe passage by the I.R.A., the waters were muddied when the British Army began using soldiers posing as deserters to mount operations against the I.R.A.. In November 1920 two soldiers from the Essex Regiment dressed in civilian clothes were arrested by the I.R.A. in West Cork. The pair claimed they were deserters who wanted help to get back to Britain. One of the soldiers claimed that his brother was a Sergeant in the Essex Regiment stationed at Bandon Barracks who was also eager to desert and would be willing to supply intelligence information which could be useful for a raid on the barracks. When arrangements were made for three I.R.A. officers, Captain John Galvin, Lieutenant Jim Begley and Section-Commander Joe Begley to meet this Sergeant on December 3rd they were surprised by soldiers from the Essex regiment and shot dead. According to the local I.R.A. leader Tom Barry his comrades had been killed in a trap which the two deserters had set. “Of course, the two pseudo-deserters were spies. So were the three British soldiers executed by the I.R.A. at Lough Attorick area in February 1921 actual deserters or were they spies posing as deserters? The three men were; Private Harry Morgan No. 5374617, a 31-year old former Groom, from Colchester. He was unmarried, had served in the Labour Corps & the Suffolk Regiment during the First World War and re-enlisted in the British Army on May 23, 1919. Private William Sydney Walker, No. 5374675, a 24 year old farmer, from Bicester. He was married with one daughter, had served with the Royal Warwickshire Regiment in France & Belgium in the First World War and had re-enlisted in the British Army on 27 July 1919. Private David John Williams, No. 5373002, a 33 year old ex-collier from Old Croft, Lydney. He was married and had 14 years service with the Gloster Regiment and had re-enlisted in the British Army on 4 December 1919. Private Williams was wounded twice in the Great War but was also a chronic deserter. He was absent for several periods, one as long as five months in 1915 apparently due to the birth and illness of his daughter. He had been discharged from the British Army in 1917 but re-enlisted in 1919 because of he was unable to find other employment. His son was born in May 1920 which might possibly have acted as an incentive for him to desert. The three men’s movements and activities, between the time they left the Strand Barracks in Limerick, and their reappearance wandering the countryside north of Tulla near the Clare Galway border remains a mystery. Local accounts of the incident surviving today claim the three visited houses in the area each evening demanding food from the occupants. Their presence in the area was soon brought to the attention of the local I.R.A. company. I.R.A. Veteran Sean Moroney states that the three were held for about a week before being court-martialled and executed; “About this time three men (they were English and of the officer class) who claimed they were deserters from the British Army, were arrested by Volunteers in my Battalion area. During the trial it was proved that they had tried to, and did, in fact keep in contact with their own forces. The result was that they were found guilty of being spies and sentenced to death. The sentence was duly carried out.”  Unfortunately Moroney does not specify what the proof that convicted the three men was. According to the Oxford and Buckinghamshire Light Infantry’s Intelligence Officer Lieutenant J.B. Jarvis “…they lay on the roadside for over 48 hours before information was received from Portumna that the bodies were there.”  After the mens bodies were discovered the British Army carried out reprisals by burning houses and firing on civilians in the area, killing a local man named Grogan. The soldiers bodies were brought into Limerick and subsequently sent to England for burial. The explanation that Morgan, Walker, and Williams were deserters does not seem to fit the facts. The ultimate aim of British army deserters either during the First World War or the Irish War of Independence was to return to their homes in Britain. The authorities were always vigilant for deserters and lists of soldiers absent without leave were circulated to all police stations. The homes of a known deserters family and friends would be visited by the local constabulary and might occasionally be raided. But provided they kept their heads down a successful deserter would be able to disappear back into society. The homes of a known deserters family and friends would be visited by the local constabulary and might occasionally be raided. But provided they kept their heads down a successful deserter would be able to disappear back into society. If these three soldiers were trying to return to their homes in England there is no logical reason why they would have been travelling northwards, cross-country on foot through the hills on the Clare -Galway border. 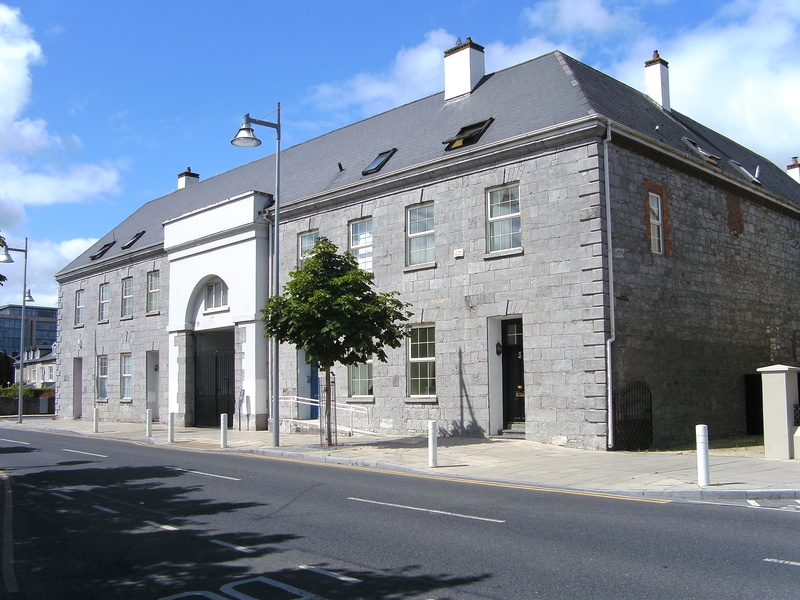 The quickest and easiest route for British soldiers stationed in Limerick to return to their homes in England would have be for them to have walked the ten minute journey across the city to Limerick train station, boarded a train for Dublin and from there taken the mail boat to Hollyhead. Posing as soldiers on leave, if their luck held out, they could have been back in Britain within 48 hours. An alternative route would have been for the men to have crossed Sarsfield Bridge to the Limerick docks and boarded a ship bound for Britain as stowaways. Although this method would have taken the men longer to return to Britain there was little risk that they would have been challenged and arrested by either the civilian or military police. So why if these and other direct routes to Britain were available would the men set off on foot through the area of operations of the I.R.A.’s East Clare Brigade which had killed 12 R.I.C. Constables & Black and Tans, 2 British soldiers and 1 suspected British spy, in the previous six months? The question also arises how these three soldiers managed to make a 20 mile journey (as the crow flies) on foot from Limerick across County Clare as far as the Flagmount – Lough Attorick area without being confronted and captured by either a British Military, R.I.C. or I.R.A. patrol? It seems more plausible that the men must have travelled by motor transport and under British imposed martial law restrictions all motor vehicles required a permit from the British Military. Therefore the most likely explanation is that rather than deserting from the Strand Barracks in Limerick the men travelled using British Army transport to the Oxford and Buckinghamshire Light Infantry’s barracks at Tulla from where they made the nine mile journey to the Flagmount – Lough Attorick area . However the most important fact which contradicts the explanation that the men had deserted is that British Military Records show all three men were paid until the 22nd of February 1921 – the day that their bodies were discovered at Lough Attorick. The British Army did not pay wages to soldiers who had been absent without leave for over 8 days and who were presumed to have deserted! This suggests that Morgan, Walker, and Williams were still serving members of the British Army employed on active duty when they were captured and executed by the I.R.A. So how likely was it that these thee soldiers would have been sent into the hills of north east Clare, one of the most active areas in terms of I.R.A. operations in the whole country, on an intelligence gathering mission? The Intelligence Officer in charge of the Oxford and Buckinghamshire Light Infantry’s was Lieutenant John Basil Jarvis. Lieutenant Jarvis known in the British Army as Joe was born 31st May 1900 the youngest son of Arthur Walter Jarvis Esq of Hampstead and Mrs Jarvis (Nee – Matthews). He was educated at Marlborough and the Royal Military College Sandhurst commissioned into the Oxfordshire and Buckinghamshire Light Infantry on 16th July 1919. The British Officer with the “Oxford” might have been a reference to Jarvis since the two other British Regiments stationed in Limerick City at that time were the Royal Scots and Royal Welch Fusiliers whose officers might have been less likely to have had English or “Oxford” accents. Regardless of whether Regan was referring to Jarvis or not – his memoir makes it clear that British Army officers stationed in Limerick undertook incredibly dangerous and foolhardy intelligence gathering missions often in disguise. However Morgan, Walker, and Williams were not officers, they were ordinary enlisted men – all three held the rank of Private. Normally the British Army would not have entrusted intelligence work to three such low ranking soldiers, however the British Army suffered a recruiting crisis from 1919 -1921. Britain’s post-war military commitments in Russia, Persia, Mesopotamia, Egypt, India and Germany meant that never before in ‘peacetime’ had the British Military been so overstretched. As a result the age of enlistment was reduced and many British soldiers stationed in Ireland were new recruits, some as young as 17 years old, who had not fought in the First World War or even completed a basic musketry course. By comparison, Morgan, Walker, and Williams, as veterans of the war aged 31, 24 and 33 respectively, were far more experienced than many of the other British soldiers stationed in Ireland at that time. I.R.A. Veteran Sean Moroney’s assertion that the three men were “of the officer class”, though mistaken about their rank, if accurate implies that the men had some formal education and were possibly well spoken. No.27 GENERAL ORDERS 22ND. June, 1921. 1. Some Enemy Deserters have recently turned out to be spies. so favourable, that deserters can be of little use to us. with Volunteers, or with the people, or to remain freely in any area. 17. The Memoirs Of John M. Regan A Catholic Officer In The RIC and RUC 1909 – 48. Written by: PadraigOgORuairc on 18 February, 2011. 3 Responses to "Deserters or spies? British Soldiers Executed At Lough Attorick"
Excellent article. The bit about the British deserters joining the IRA was especially interesting and not something I’ve heard before now.